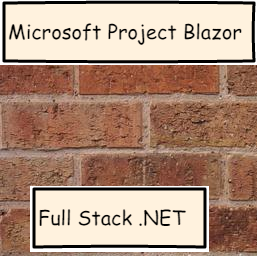 There was a recent project announcement at Microsoft that I would like to highlight for those interested in Microsoft web development – Project Blazor. This project is being developed by the ASP.NET team and will deliver the ability to have .NET code (C#/Razor) execute directly client side in browsers at native speed in place of current client side frameworks such as Angular. This project would fill in the current development gap, allowing .NET developers to do client side development in .NET using C#/Razor. At that point you would have a full stack .NET development solution – on the browser, on the server, and on the desktop. For developers, this allows us to address client side programming using our existing C#/Razor skills and toolset. For enterprises this technology makes every .NET developer capable of being a client side developer, adding more flexibility to staffing a project and reducing training costs. If Angular and Blazor with both compile into WebAssembly, many existing organizations with an investment in .NET would utilize Blazor. So at this phase they are in the early stages with the project and I have a link to the project announcement below with additional details. This is one to keep an eye on.